Energy Fabrication, Inc. has established itself as one of the industries leading manufacturer of fluid heating and transport equipment. Over the years, Energy Fabrication, Inc. has evolved into a manufacturer that recognizes the special needs of oil & gas industry. 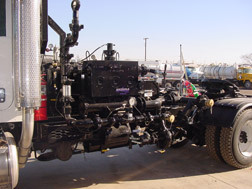 We build custom propane, diesel and natural gas frac heaters for the oilfield industry. 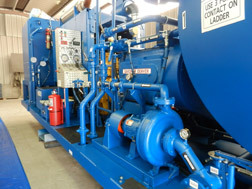 Click for more information on our frac heater units. 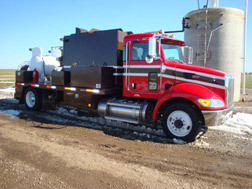 Energyfab creates custom hot oil units that are diesel or propane fired. Our hot oilers are custom made based on your specifications. 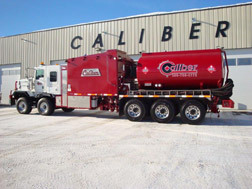 Our 600 HP Pump Trucks are of some of the highest horsepower trucks on the market. Learn more about the safety and high pressure system used by clicking here. Energy Fabrication produces D.O.T Cargo Trailers 406,407 and 412. Learn more about the specifications for these tanks here. 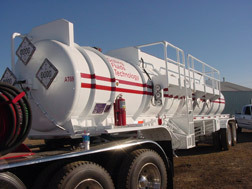 Our custom skid units are designed to meet the specific needs of your oilfield fluid heating requirements. Learn more about our skid units here. 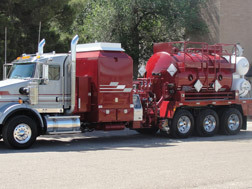 Kill trucks and trailers made for the oilfield industry available with Energyfab. Learn more about our kill trucks here. 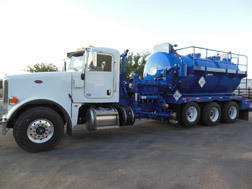 Browse through our selection of specialty trucks from winch trucks, chemical trucks and specialty heating unit trucks to bobtail units and vac trucks. Multi-plex units are available when you need a higher pressured heating and pumping capacity. Learn more about multi-plex units here. Call Energy Fabrication if you have want to inquire about a specific product today! 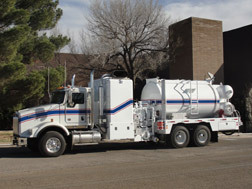 We are the go-to source for hot oil units and pump trucks in the Midland, TX area!